Pi. 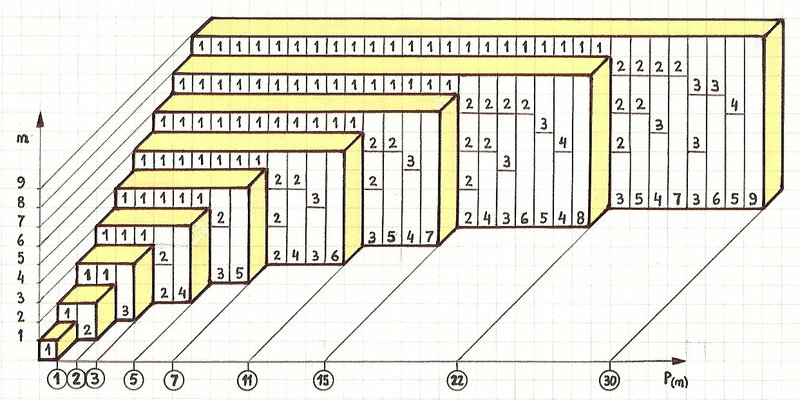 Also, each partition can be represented as a wave. Could someone add tables to the following entries, please? A141285, A182730, A182731, A182732, A182733. I would like to see the graphics! Question: Is there some connection with fractals? >Can you explain why those sequences are interesting?